I am slowly getting more comfortable with souffles. S-L-O-W-l-y! I keep my expectations low and each one feels like a major victory. But this week Dorie decided to test my souffle confidence with a hunk of smelly cheese. If you have never encountered French muenster before, let me just say that it is not one of those cheeses which you tuck away in a corner of the fridge and then promptly forget. No, every time you open that fridge door, sniff, there it is. Yep, it’s a smelly one. But in comparison to the pungent smell, the taste is surprisingly mild. At least it is if you remove the orange skin, which is what Dorie suggests for this souffle recipe. I purposely bought a little extra and munched on it as I was getting the souffles together. I served the souffles with Dorie’s recommended fresh salad. It took seconds to throw together and was simply seasoned with cumin, salt, pepper and olive oil. That’s what I love about Dorie. This little side note was a worthy recipe in and of itself. So simple, but but a delicious combination that I never would have thought of on my own. You should be totally comfortable with souffles – yours look perfect! I love your description of the cheese – I used the American variety which, as you know, is very mild. Wow yours ROSE and STAYED PUFFY! They are perfect! 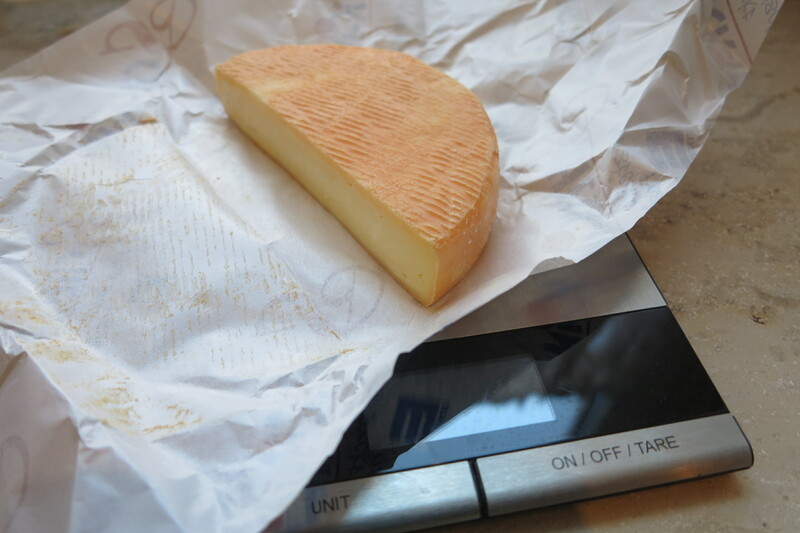 to look for French muenster and try this again. We loved it. I reiterate, “WOW”! Yours really rose beautifully! I couldn’t find french muenster by me, but have just ordered some online. I really wanted to give it a try! I used sharp cheddar, and they were scrumptious! Have a great weekend! I can’t believe how high one of yours rose. My cheese shop had never heard of French Mueunster her reaction was, “isn’t that German?” I’m not sure a super smelly cheese would have gone over well with the kids. I guess the comte I used was fine. 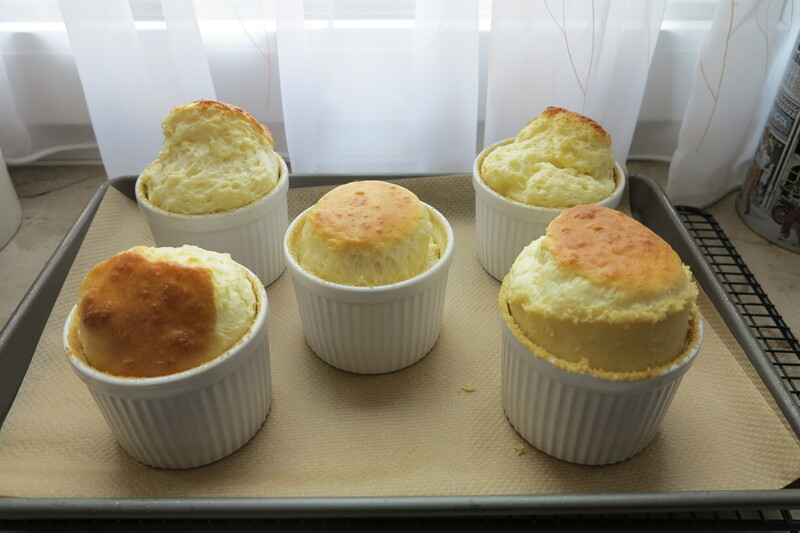 Now that you MASTERED souffle…. They look just perfect!! Now THOSE are perfect and what they should be! i’m jealous! Great work! Yay – all of your souffles rose and they look amazing! 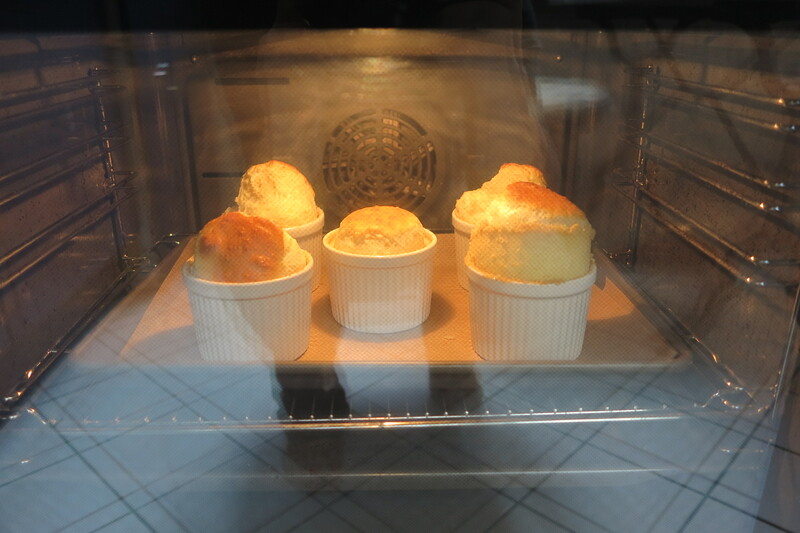 Your soufflés look perfect! And they sound delicious, especially with that salad. That is impressive! Its nice that you were able to get the shot of it in its full glory! 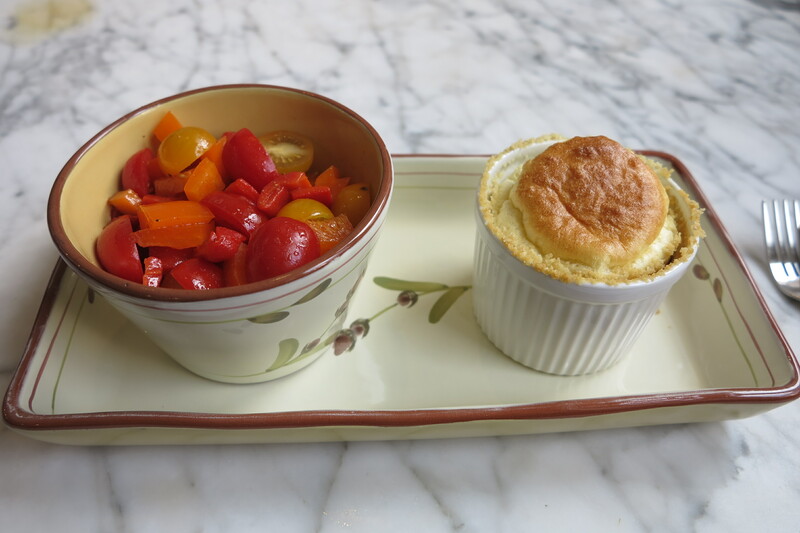 Rose, your cheese soufflés look fabulous – took me a while to find the Munster cheese and I am a day late but I also enjoyed this recipe very much! Your souffles look absolutely perfect! I wish I’d made the salad, looks so yummy. I wasn’t able to find any “authentic” cheese, but it was still tasty! I love your photos IN THE OVEN. So wonderfully puffed! You’re right about the smell and flavor of the munster being completely different. Sadly I couldn’t taste the cheese in my souffles. I wonder if I might prefer this cheese with rind for snacking instead. They’re all beautiful – but that one is spectacular. I really enjoyed the salad too. It was so quick, and a great combination of flavors that I wouldn’t have thought to combine.